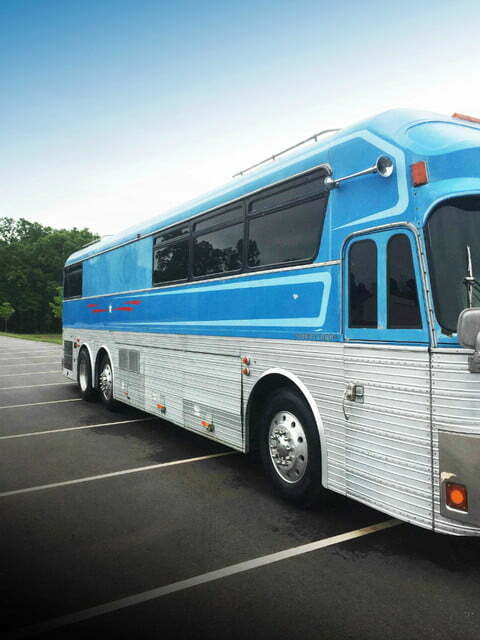 Loretta Lynn’s Eagle tour bus is for sale, but the 40-foot vehicle has an even deeper history of transporting award-winning musicians and bands. 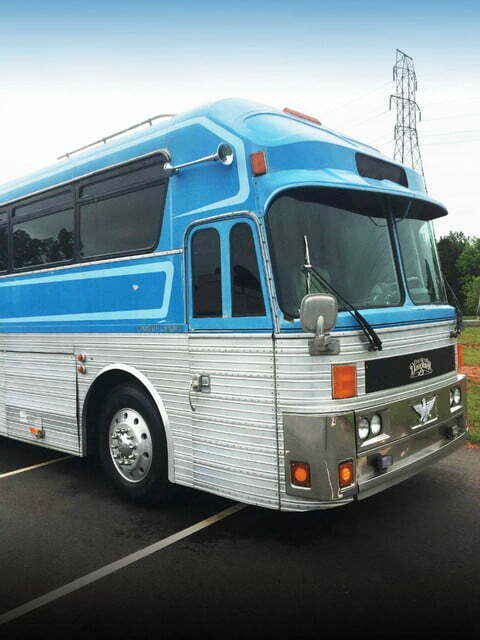 Grammy Award-winner Vassar Clements, Country Music Hall of Fame singer Faron Young, Loretta Lynn’s guitarist Perley Curtis, and the Badfinger and Sugarland bands all owned or toured in the 1977 Eagle tour bus currently up for auction on eBay. 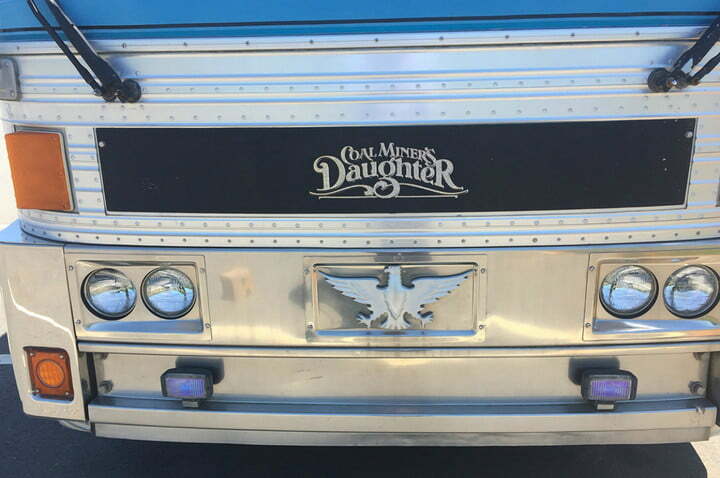 The bus still has “Coal Miner’s Daughter” on the front, but it can be removed. The bus has one private bedroom and six bunks that can accommodate eight or more people. There’s a bathroom but no shower. There is, however, an empty closet adjacent to the bathroom that was originally intended for a shower, so conversion should be easy. The bus has new air brakes, a new alternator, two new batteries, a new 14kW generator, and less than 1,000 miles on mostly new tires (two on the rear are retreads). The Detroit 8V71 diesel engine is paired with a five-speed transmission. The eBay summary chart says the mileage is 200,000, but the owner’s representative says the mileage is actually unknown due to a motor rebuild. The vehicle has always been privately owned and never used commercially, so there are no logs. There are, however, meticulous records of the bus’s restoration and maintenance by the previous owner. The diesel generator runs off the main fuel tanks to power two large air conditioners. One AC unit is located between the lounge area and the bunks and the second between the bunks and the master bedroom. There are 110V outlets throughout the bus. Other features include two flatscreen TVs, two DVD players, a music system with surround speakers, a microwave oven, air horns, aluminum wheels, and reverse lights. Interior motor access panels on the floor make it easy to work on the engine. 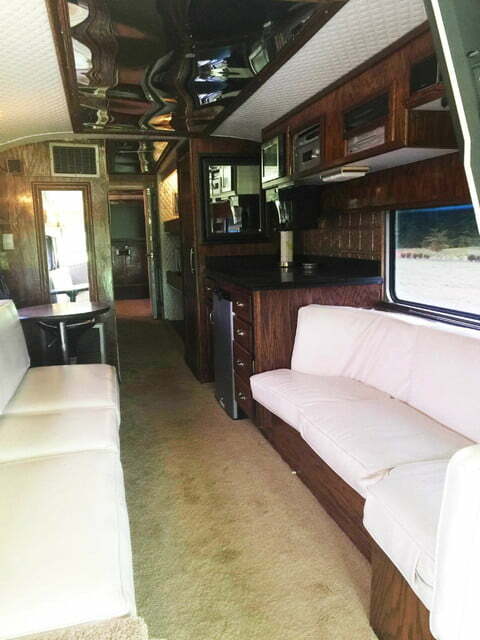 Underneath the coach, there are six large storage bays that go all the way from side to side. The seller’s representative says the engine is strong and the bus do 78 to 80 mph on the highway if necessary. The rep also said the bus rides and steers very well. 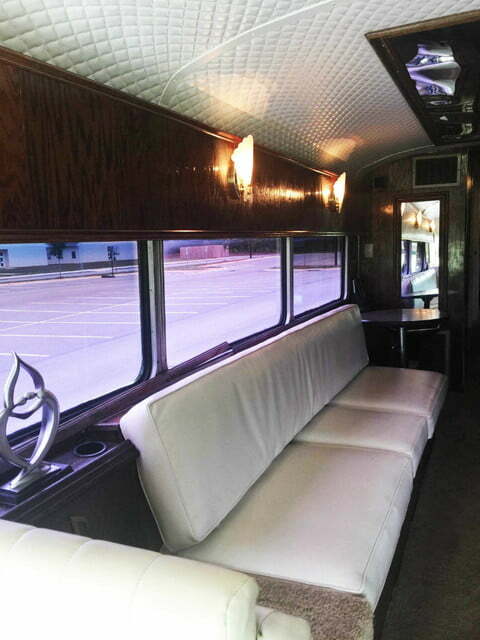 This bus was featured in Sugarland’s first music video, although the interior has since been updated. 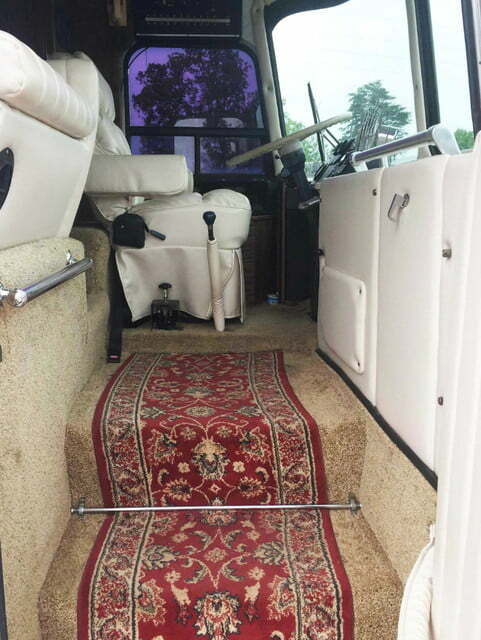 This is just the latest eBay listing for a vehicle associated with musicians or celebrities. Earlier this year Bruce Springsteen’s yellow Chevrolet convertible was listed. A GTO Robert Downey, Jr. drove in the movie Home for the Holidays was also on eBay. The current high bid for Loretta Lynn’s tour bus is $29,200. The auction ends at 1:20 p.m. PT on Friday, July 7.